What do the Old Testament sacrifices teach us today? Studying God’s commands about sacrifices in Leviticus can help us understand more about Jesus’ sacrifice and how we should respond. 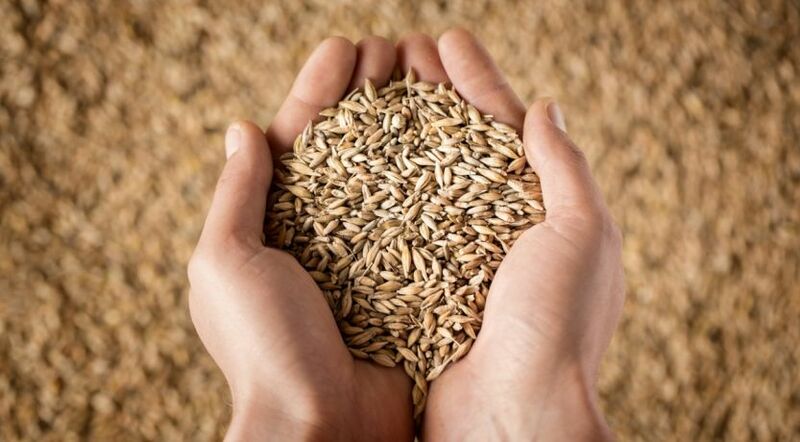 One of the sacrifices listed in Leviticus was the grain offering. Offerings were a pivotal part of Old Testament worship of God. What do they mean for us today? The next chapter of Hebrews clarifies that the killing of animals was not the ultimate means for dealing with sin. Instead, the plan was for Jesus to come and establish faith in His sacrifice as the basis through which we can be forgiven (Hebrews 10:5-18). While the sacrificial system of worship is no longer practiced, the sacrifices themselves contain symbolism that remains beneficial for Christians today. Offerings burned on the altar were offered to God. God described offerings that pleased Him as a “sweet aroma” (Exodus 29:18). The burnt, grain and peace offerings were sweet aroma offerings (Leviticus 1:9; 2:2; 3:5) based on the offerer’s devotion to God. However, when the Israelites were disobedient, God wasn’t pleased with their sweet aroma offerings. Offerings were accepted by God only if the offerer drew near to God, living by His law. Otherwise, the offering was rejected (Jeremiah 6:19-20). The sweet aroma offerings foreshadowed how we are to live. A Christian should live his or her life as a “living sacrifice” (Romans 12:1) that is a “sweet-smelling aroma” to God as Christ was (Ephesians 5:2). Our lives should be “spiritual sacrifices” that God will accept (1 Peter 2:5). In contrast, most aspects of the sin and trespass offerings are not described as a sweet aroma. These offerings are given because of sins, and God hates sin (Proverbs 6:16-19). Only unblemished animals were to be offered (Leviticus 1:3; 3:6; 4:3; 5:15), representing Jesus Christ, who was unblemished by sin. Though Jesus was sinless, He willingly took our sins on Himself and paid the penalty we deserve (1 John 3:5; 2 Corinthians 5:21). Now let’s look at each of the five types of Levitical offerings and what they mean for us. For the burnt offering, the animal was totally burned on the altar to God. This pictures giving one’s life wholeheartedly to God, as Jesus did. The burnt offering symbolized the worshipper’s love and dedication to God freely given (Leviticus 1:3). Burnt offerings could be from the herd (oxen) or flock (sheep or goats), or they could be turtledoves or young pigeons. Different procedures are listed for these animals in Leviticus 1, but in each case they were to be totally burned up. As living sacrifices, we are to imitate Christ and give our complete devotion to God (Matthew 22:37; Ephesians 5:1-2). We must freely offer our whole being to God (including our thoughts, will, heart and actions). The grain offering is different from the other offerings because there is no blood involved. It was always offered along with burnt offerings (Numbers 29:6), thus complementing the burnt offering. Since the burnt offering means wholehearted devotion to God, this offering adds to that devotion. With the offering of fine flour, a handful was burned on the altar with oil (Leviticus 2:1) or baked as cakes or wafers (verses 4-7). This is considered an offering of bread (Leviticus 21:6). Why bread? When Jesus was fasting 40 days and nights, He was tempted by Satan to turn stones into bread. Jesus replied, “It is written, ‘Man shall not live by bread alone, but by every word that proceeds from the mouth of God’” (Matthew 4:2-4). As eating food is necessary for physical life, living by God’s words is necessary for eternal life. Oil must also be present with the grain offering (Leviticus 2:15). Oil symbolizes God’s Holy Spirit (1 Samuel 16:13). Unlike the burnt offering, only a portion of the grain offering was burned on the altar (Leviticus 2:2, 9, 16) with the rest consumed by the priest (verses 3 and 10). The portion of grain that was offered on the altar was to have frankincense burned with it (verse 15). Frankincense is an aromatic incense. We learn from the book of Revelation that our prayers are like incense to God (Revelation 5:8). Salt was to be present with every offering. Salt has remarkable preserving qualities. It also endures high heat, having a melting temperature of 800 degrees Celsius or 1470 Fahrenheit. Jesus had this enduring quality, showing faithfulness under great suffering, even to death. Live by every word of God (Matthew 4:4). We must study the Bible daily and apply it in every way in our daily lives. Pray always: God wants us to talk to Him through daily prayer (1 Thessalonians 5:17). Endure: God expects us to wait on His salvation, to look to Him throughout trials and persecutions (Matthew 24:13; Psalm 27:14). With the peace offering, the fat belonged to God (Leviticus 3:16). All the fat of the offering was removed and burned on the altar on top of the burnt offering (verse 5) and the grain offering. Since the burnt offering means complete devotion to God, this offering adds to that devotion. After the fat was offered to God, the peace offering (ox, sheep or goat) was divided and consumed by the priests and the people presenting the offering (Leviticus 7:15-16, 31-32). Here we see God, the priests and the people consuming the same offering. This pictures the peace and unity God wants with His people—and among His people. Mankind has been separated from God because of sin (Isaiah 59:2; Romans 5:10). Jesus became our peacemaker by offering His life for our sins, thus making reconciliation between God and man possible (Colossians 1:20; Romans 5:1). Sin also causes division and hatred between people. But we are to strive to be peacemakers and strive to be at peace with others (Matthew 5:9; Romans 12:18; 1 Peter 3:11). The final two offerings deal with sin and significantly differ from the previous three. Portions of these offerings were offered outside the camp, and most aspects of these offerings aren’t described as a “sweet aroma” to God. That’s because these final two offerings dealt with sin—the breaking of God’s law (1 John 3:4). The sin offering dealt with the general sins of everyone—the priests, the leadership, the entire congregation and the individual. This represented the truth that all have sinned and have become sinners by nature (Romans 8:7). Unlike the burnt offering, where the whole animal was offered on the altar, with the sin offering only the fat and blood were offered at the altar. When a bull was offered for the priest or for the whole congregation, the bulk of the animal’s body was burned outside the camp. This was because it represented sin, which is repugnant to God (Psalm 5:4; Ezekiel 18:23). He wants it removed far from His sight. This offering foreshadowed the sacrificial death of Jesus Christ. As the sin offering was taken outside the camp to be burned on wood (Leviticus 4:12), Jesus was taken outside the city to be killed on wood (John 19:20; Hebrews 13:12). Jesus came as a mortal man, lived a sinless, perfect life (Hebrews 4:15) and died for our sins so we would not have to pay the penalty of eternal death. His one sacrifice makes it possible for all sins to be fully forgiven (Hebrews 10:12). God the Father created all things through Jesus Christ (Colossians 1:16; Ephesians 3:9), so Jesus’ life is of far greater value than all of creation—greater than all of our lives combined. Jesus came as a mortal man, lived a sinless, perfect life (Hebrews 4:15) and died for our sins so we would not have to pay the penalty of eternal death. His one sacrifice makes it possible for all sins to be fully forgiven (Hebrews 10:12). The sin offering represents that supreme sacrifice of our Creator and our personal need for that sacrifice to atone (or cover) our sins. The final offering is similar to the sin offering, but not exactly the same. The sin offering in Leviticus 4 dealt with sin in general—among all classes of society. The sin offering also reminds us that we have become sinners (Romans 7:18, 20; Jeremiah 17:9; Matthew 7:11). As such, the ultimate sin offering (Jesus Christ) atoned for the evil nature we have acquired by our wrong choices. The trespass offering dealt with specific acts of transgressing God’s law, such as breaking one of God’s commandments (Leviticus 5:17) or doing something harmful to another person (Leviticus 6:2-3). Christ’s sacrifice paid for our specific sins as well as our sinful nature. Along with the trespass offering, the offender was required to compensate the victim of his or her sin and pay an additional amount (Leviticus 5:16; 6:5; Numbers 5:6-7). This showed that the offender still had a responsibility to make things right with the person he or she hurt. This teaches us important principles that can be applied today. For example, if a person steals someone’s car, the sin is first and foremost against God (Joshua 7:20; Psalm 51:4). If he repents, Christ’s sacrifice provides forgiveness of the sin. However, the victim has still suffered loss, so the repentant thief would then be responsible for restoring the car to the victim and paying an additional amount for damages and the inconvenience suffered by the victim. When we repent, we shouldn’t pray only for a general forgiveness, but specifically for each sin we have committed. Some people consider the Old Testament sacrifices irrelevant practices from ancient times. While Christ’s sacrifice made it unnecessary for Christians today to practice physical sacrifices (Hebrews 9:12-14; 10:3-5), we can come to a deeper understanding of our Savior, forgiveness and repentance by studying and understanding them. To learn more about sin, repentance and the conversion process, read our free booklet Change Your Life!